We are offering Profile Sheets. 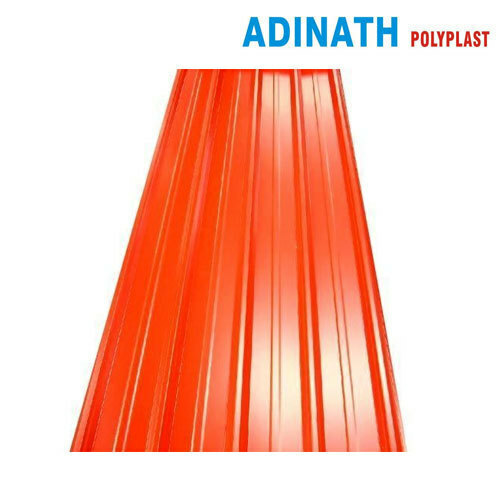 Adinath Poly Plast Pvt Ltd Manufacturer of Poly carbonate sheet and products, Distributor of poly carbonate sheet and products, Dealer of poly carbonate sheet and products, Wholesaler of poly carbonate sheet and products, Industrial Supplier of poly carbonate sheet and products & one of the leading Distributor of Plain Cement Sheet, Cement Sheet and Color Coated Sheet, incepted its operations in the year 2009. The offered range is made up of the finest Poly carbonate Sheet, having a high demand in the market. Making of this range is done in accordance with the set industry norms and guidelines, utilizing the finest raw materials and modern machines. This ensures the product’s sturdiness, durability, resistance to corrosion and has a fine finishing. In addition to this, the offered range is priced at a market leading rate. Our highly developed state-of-the-art infrastructural facility, laced with all the necessary machinery and equipment, facilitates the attainment of several of the firm’s predefined goals and objectives. For reasons of attaining smoother and effective management of the firm’s operations, the facility has been parted into a number of highly operational units. These units, in the most efficient and effective manner, helps us maximize productivity. In order to boost our presence in the market, the facility is regularly upgraded. Further, the abidance of industry defined ethics, have helped us generate a huge client base.